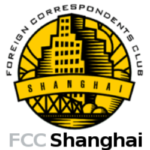 I would like to invite journalists through theShanghai Foreign Correspondents’ Club and it’s network of media outlets to a Thomson Reuters Foundation workshop on Vulnerable Children in Care from 25th-29th June in Bangkok. The workshop explores children in orphanages, and the new thinking behind finding community-based, alternative care structures. The topic may be of interest given that Australia is considering penalising “orphanage tourism”. Expenses include tuition costs, flights for those living outside Bangkok, hotel accommodations, and food will be paid for by the foundation. This is a unique opportunity to develop investigative and analytical skills around an under-reported topic. Here is the link to the Bangkok workshop for your perusal.